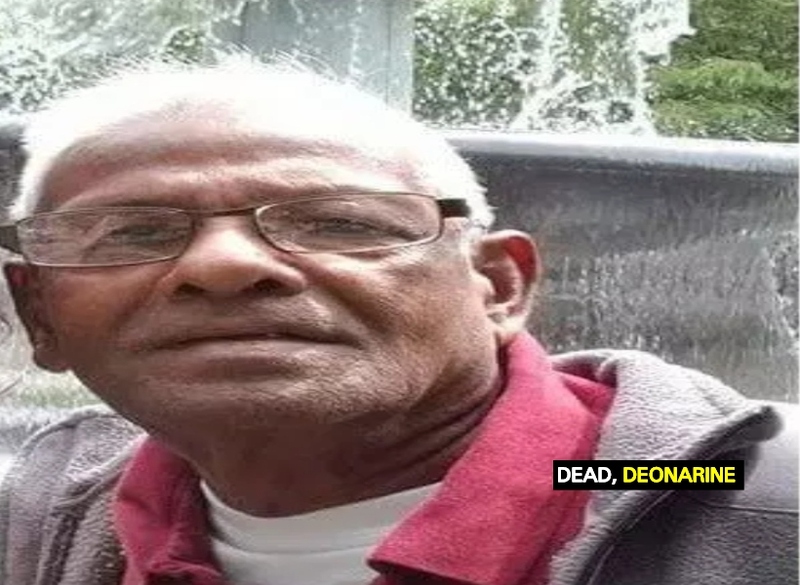 A 73-year-old farmer was shot dead inside his Pomeroon, Essequibo home around 18:30 hrs last night by a masked gunman who invaded his home. The deceased has only been identified as Deonarine called “Russian” of Grant Maria’s Delight, Lower Pomeroon River. According to information received, about an hour before the tragedy, the victim went to Charity Housing Scheme to pick up his 46-yeaar-old girlfriend. He took her back to his home. The Guyana Standard was informed that shortly after the victim and his younger girlfriend went into the house, someone started banging on his door continuously. The farmer left to open the door when he was allegedly confronted by the suspect, who, according to the 46-year-old woman, had a “long gun.” The woman told police ranks that after seeing the gun, she ran and held onto it. This allegedly resulted in a scuffle between the woman and the masked man. According to the woman, the suspect then pulled out a knife and she held onto that too to prevent him from injuring anyone. However, during this process, the farmer allegedly ran downstairs and the gunman reportedly pushed the woman to the floor and followed him. The 73-year-old man was then shot to the left side abdomen. The gunman fled the scene and has not been caught since. The victim was pronounced dead on arrival at the Charity Hospital. The deceased’s girlfriend has been taken into police custody to assist with the investigation.